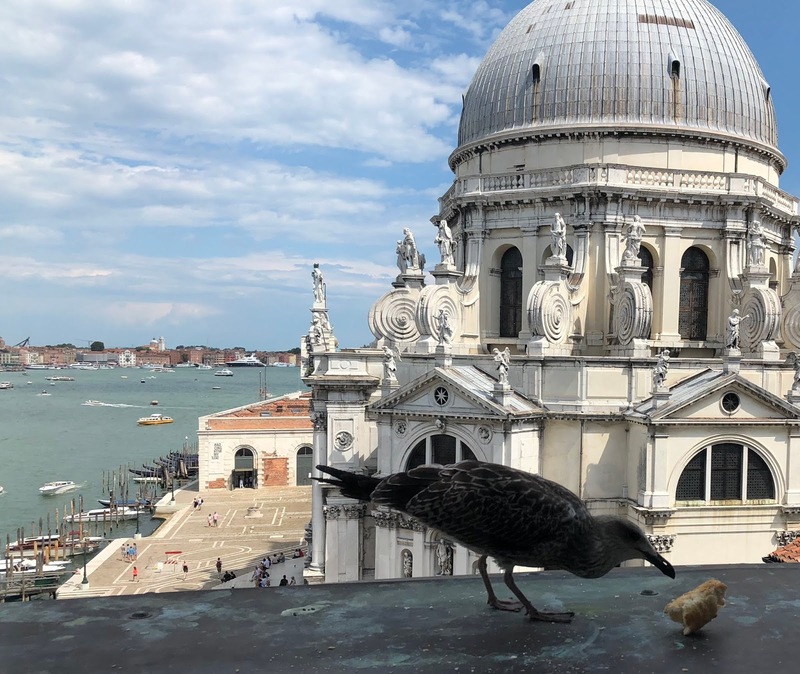 The Screaming Pope: Venice Journal: Eye Level or Sea Level? Venice like Amsterdam lies below sea level, but what is the effect of such geography on sensibility? Bats for instance inhabit cavernous spaces where they hibernate during daylight. One of the most dramatic sights that visitors to the city of Austin encounter is the massive awakening of bats who live under the Ann W. Richards Bridge and are roused at sunset. Environment is partially responsible for defining the being of the creature. For instance, due to the water levels Venetians have long travelled through their city by way of water taxi, gondola (with the signature striped-shirted oarsmen) or Vaporetto, ferries which are the equivalent of city buses in a town where there major thoroughfares are not made of cobblestone or pavement but water. The Asphalt Jungle would never be the title of a movie about Venice. Imagine if Fifth or Park Avenue were underwater as they someday might be. And can it be assumed that Venetians are accommodative, with compensatory natures, in that they have suffered symptoms similar to the effects many other coastal cities are now experiencing, centuries before anyone had heard of the expression “global warming.” Another word that might be invoked in describing the character of Venetians is “survivor.” Venice demonstrates a rough waterlogged beauty. The buildings have endured the rising tides for centuries; it's someting you see in the weathered faces of the taxi drivers queuing up at stops along the Grand Canal.